There are some users who sample as fast as possible. 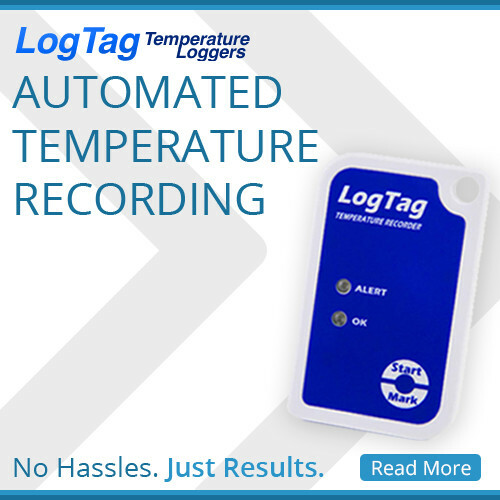 This is typically once a minute for Thermocron loggers and possibly even faster for Logtags. For the sampling too slowly issue, the cause was historical. WIth sampling too quickly I think the main cause is just being unaware of the consequences. The first consequence isn’t “bad”, just annoying. It’s too much data. That is, the user sees pages and pages of readings, and most of those readings are the same as the previous reading. For a printout, it’s a lot of data. For the graph it isn’t a huge issue because it looks the same. As I said, it isn’t bad, but can be annoying when trying to find a specific event. The second consequence, however, can be detrimental. The faster the unit samples, the faster it will fill its memory. Once memory is full, it will either stop logging (rollover turned off), or overwrite the oldest readings (rollover turned on). Either way, data is being lost. To avoid losing data, the logger needs to be downloaded more often. So the result will be either loss of data, or more time being consumed retrieving results more often. The solutions are very simple. Either sample less frequently or download more often. The reality is that stock in fridges and freezers take time to heat up and cool down so an incident in a fridge or freezer will actually need to last a reasonably long time to have an impact on the stock. So slowing the sample rate down is justifiable. My recommendation is to set it at about 15 minutes. This will then actually provide you with 3 weeks data for the TC and TCZ models, or 6+ weeks for the TCS and Logtags. So the other question worth considering is “how often do you want to retrieve the results?” If your answer is weekly or fortnightly then you don’t have an issue. If you only want to do it once a month then you will either need to slow the TC/TCZ down more or use a different model. Confused? Just give us a call o 02 9614 6417 or email sales@onsolution.com.au and we would be more than happy to provide assistance. The next most common mistake fits into the “bleeding obvious” category but you wouldn’t believe how often it comes up. Hind sight is a beautiful thing.